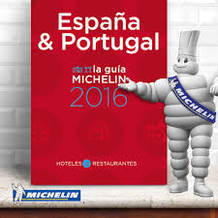 In de Michelin gids Spanje & Portugal voor 2016 staan maar liefst 7 restaurants aan de Costa del Sol vermeld. Wil je je tijdens je vakantie culinair laten verwennen kun je bij de volgende sterren restaurants terecht. Natuurlijk moet je wel tijdig reserveren! Eet smakelijk! Thanks for another magnificent article. The place else could anyone get that type of information in such a perfect method of writing? I've a presentation next week, and I am at the search for such information. Howdy! Quick question that's entirely off topic. Do you know how to make your site mobile friendly? My web site looks weird when viewing from my iphone. I'm trying to find a template or plugin that might be able to resolve this issue. If you have any suggestions, please share. Thanks!